Walking dead season 1 is also free on humble bundle. Yea good point, seen that too now. 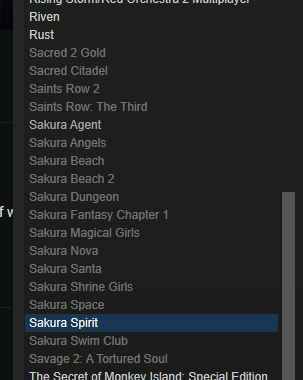 I think many of you closet weebs want the Hunie Sakura Bundle currently advertised on Humble Bundle. You know I already did. Which one is best? Asking for a friend of course. ^Both works together, just up to you if you want it to launch through Steam, or standalone launcher. World war 2 online kind of like foxhole but with red orchestra 1 graphics and first person. Good memes maybe i dont know im not department of memes.